CleanTechnica is among the folks waiting to see if Energy Secretary Rick Perry will keep his agency humming along the clean tech track now that President Trump has withdrawn the US from the Paris climate agreement. It looks like the waiting is already over. Last Thursday, the same day Trump announced the Paris pullout, the Energy Department’s funding arm ARPA-E clapped back with a promise to follow through on $20 million in funding for 10 projects in two cutting edge fuel efficiency and renewable energy research programs that will certainly help the US reach its Paris commitments, Trump or no Trump. Today, the U.S. Department of Energy (DOE) announced it is honoring additional commitments to 10 previously selected Advanced Research Projects Agency-Energy (ARPA-E) awardees for a total of $20 million. These projects are part of an evaluation process that has worked to ensure best practices and good governance principles are applied consistent with the new Administration’s policy directives. It’s a little late in the day to talk about good governance when it comes to the Trump White House, but at least the Department of Energy still has some ideas about the basic elements of public service. The 10 awardees are in two programs. One is called Next-Generation Energy Technologies for Connected and Autonomous On-Road Vehicles. The NEXTCAR grant — nice acronym, guys! 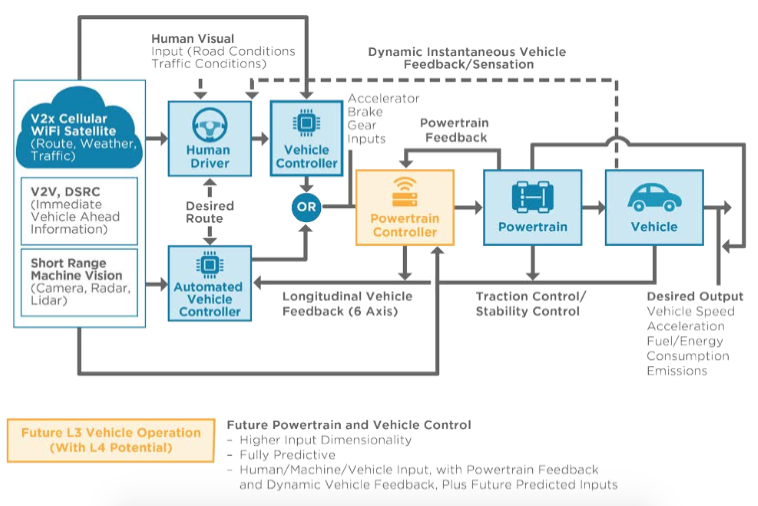 — of $2.9 million goes to the Southwest Research Institute for something called Model Predictive Control for Energy-Efficient Maneuvering Of Connected Autonomous Vehicles Equipped with 12V Micro-Hybrid Engine Technology. NEXTCAR has the ambitious goal of reducing vehicle energy use for cars and trucks by 20 percent. Rather than tinkering around with the engine, the focus is on leveraging the automation and the Internet of Things, for example by coordinating fleet vehicles to ramp up fuel efficiency (shoutout to Ford, though for tinkering up its award winning EcoBoost engine). With its massive vehicle fleets, the Defense Department could spice things up at the driverless car end of things. Consumers may be souring on the idea of driverless cars but the US Army is already experimenting with autonomous convoys that would reduce casualties related to transportation in war zones. Those of you familiar with NEXTCAR will note that there are other projects in the program. They did not make it into this particular press release but CleanTechnica checked with ARPA-E and yes, they are still in the pipeline. The other 9 programs are in REFUEL, the Renewable Energy to Fuels Through Utilization of Energy-Dense Liquids. DOE makes a point of pointing out that four of the nine are in its Small Business Innovation Research and Small Business Technology Transfer programs aimed at supporting breakthrough work bubbling up from startups and other small businesses. [Projects in the] REFUEL program seek to develop scalable technologies for converting water and molecules from the air into energy-dense, carbon-neutral liquid fuels (CNLFs) using electrical energy from renewable sources. REFUEL projects will convert low-cost renewable energy into a transportable chemical fuel and use these fuels for transportation applications, while reducing production costs and environmental impact. Conventional ammonia production is energy intensive and uses copious amounts of hydrogen sourced from natural gas, so the focus is on leveraging wind, water and other renewable sources to do the same thing. As for why go through all that trouble when you can just plug in an electric car, that’s a good question and you can provide your answers in the comment thread. One advantage is that ammonia production facilities could be sited where renewable resources are favorable, regardless of whether or not transmission lines are available. As with NEXTCAR, this particular press release does not include all of the REFUEL projects tapped for funding last year, but according to DOE they are still in the pipeline. CleanTechnica has spent the past three months staring and pointing at Energy Secretary Rick Perry, who has been freelancing his own clean tech policy with gusto while paying lip service to the Trump Administration’s pro-coal rhetoric. The former Texas governor says he’s having the time of his life running an agency he once pledged to eliminate. Perry has emerged as a strong defender of the department’s work, especially the 17 national labs that conduct cutting-edge research on everything from national security to renewable energy. Perry as set a high bar in terms of policy freelancing, but it seems that others in the Trump Administration are finally getting the idea. In recent days, for example, UN Ambassador Nikki Haley flat out contradicted all of 1600 Pennsylvania Avenue on climate change, and State Department chief Rex Tillerson created an “alternate foreign policy” in the aftermath of the Commander-in-Chief’s latest tweetstorm. …administration leaders are openly saying that the President doesn’t speak for himself or his administration. Either in people’s understanding of what Presidents are supposed to do or in the humiliations these descriptions likely amount to for Trump himself, this does not seem like a sustainable solution to the Trump problem. Image (screenshot): via US DOE, NEXTCAR program details page 5.